Neem can give you clear skin, while Karela can control your diabetes and Jamun can improve your digestion. Now imagine if all these came together in one single bottle! KNB brings to you Neem Karela Jamun Juice, which is your one dose to good health, every day! 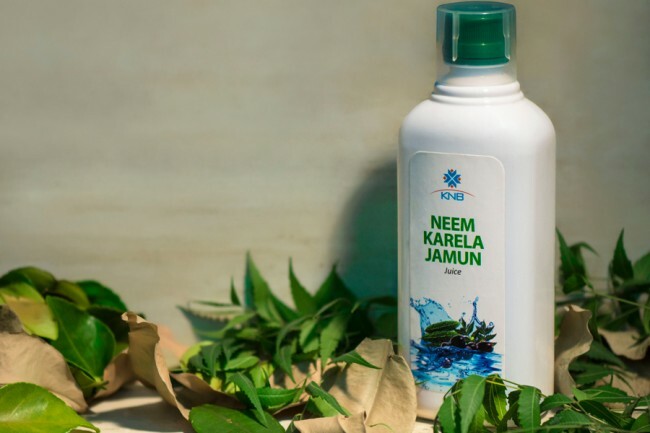 If you are someone who has diabetes, you need to include Karela in your regular diet, if you are someone who is constantly struggling with acne and other problems with your skin, you need to have neem in your life. And if you are someone who has problems with digestion, then you need to have some Jamun on a regular basis. 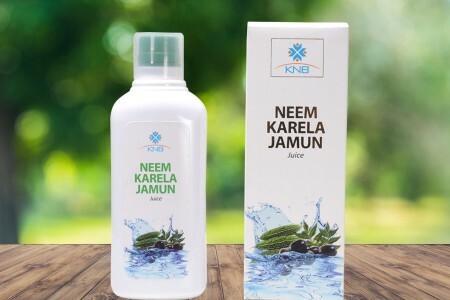 Now, KNB brings the goodness of all these ingredients in one bottle, in the form of its Neem Karela Jamun Juice. When you take the recommended dose of this juice, we can assure you that you will be healthy and extremely fit. Whether you are looking to lose weight or are trying to ensure that your body’s digestive system is always up to the mark, our juice is the best option for you. Our juice will not only destroy all the bad bacteria in your body, it will make sure that all the nutrients that are ingested with food, are utilised properly. Our juice, being completely natural, is also rich in several nutrients such as vitamins B1, B2, and B3, C, magnesium, folic acid, zinc, phosphorus, manganese, iron and beta-carotene. Dosage: 15 to 30 ml, twice a day, or as prescribed by the physician. For better results, make sure that you do not consume anything 30 minutes before or after consuming the juice. Note: This product is not a substitute for your regular sugar medicine which you might already be taking.